Japanese drugmaker Daiichi Sankyo, Inc. developed the popular prescription drug Benicar to treat high blood pressure. Millions of prescriptions for the drug are written each year. Recent research, however, has linked Benicar to severe gastrointestinal side effects. These serious side effects can lead to malnutrition, intestinal damage and chronic diarrhea. 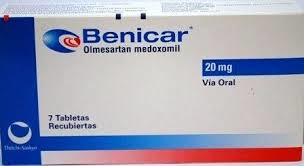 If you have taken Benicar and suffer from any of these serious side effects, we would like to help you. Please contact us today for a free case evaluation to determine if you are entitled to receive compensation. Time may be running out to bring a claim.